Thank you all for your insights and experience. I will definitely try the new miyota 9015 movement. Just remember though, that a 9015 won't fit into a case made for a 2824 as teh stem heights are different. Make sure you know what your gonna do to get it fitted first, otherwise you'll end up with a jumble of watch parts you can't do anything with. The difference is around 1mm in stem height, that means you need to find that space with a spacer either behind the dial with 1mm longer pinions, or you need a 1mm spacer infront of the dial. I think the miyota 82XX series can be a drop in replacement for 2824 (although not tried it personally). Make sure your not getting mixed information. The 82XX series is not a like for like drop in for the 90XX series. Last edited by AC81; November 6th, 2018 at 21:43. The Soprod A-10/M100 is a Seiko design, possibly the old Seiko 4L25, and not related to ETA in any way. Hand winding a 2824 movement has definitely caught the attention of many owners. "However: don't wind up your 2824. Rather, it is designed to be autowound, with a manual wind as a backup, not as primary winding method. Seriously: I have had a 2824 watch fail on me (Fortis Pilot watch) because I was in the nervous habit of giving the movement a few winds whenever I felt like it. The winding mechanism really is not designed for long-term hand winding, and after wearing it for 3 years constantly a gear lost a tooth, which ended in the hairspring and damaged it enough for both the winding mechanism and the hairspring needing to be replaced. The watchmaker I used at the time said that there was no reason for it to have failed unless I was fiddling with it. ETA designs their movements very carefully to control costs and as the winding mechanism on the 2824 is a back-up, rather than a prime component, it was not designed to be used as a prime mechanism. This does not apply to the 2893 or the 7750." “ETA part 410 - the winding pinion. I’ve had to order this part at least three times for movements I’ve used in my builds. 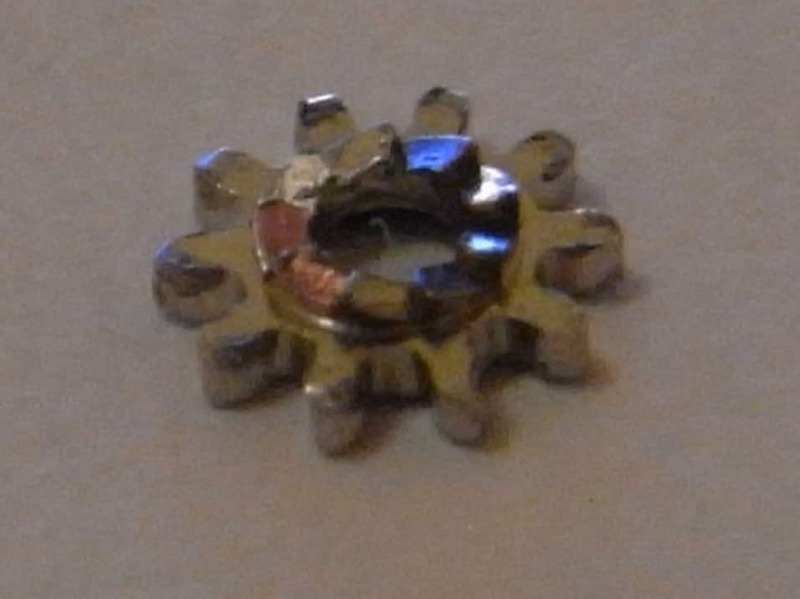 This winding pinion wears down, whether by design or not, this part does not hold up well to regular use (hand winding)... I’d posit that eta 27/28xx auto movements are not meant for heavy hand winding by even eta itself as the winding mechanisms on their non auto variants of the 27/28xx series are different. “So there are many, many watches where the hand-winding mechanism (including the stem, gears and reversing mechanisms) represent a "weak link" in the system. But that doesn't mean it's a flaw that must be fixed, because it's not intended to be the primary power source. Hence, the addition of the rotor and gears to create and provide the consumer with an automatic watch. Is this to say that hand winding automatic watches is akin to playing Russian Roulette with your watch... no. But it's not a myth that in many watches this system is a weak link and subject to failure much more frequently than the rotor driven power mechanism. As the OP... I whole heartedly love threadjacks that shares important knowledge with the forum. From what I understand, the Soprod A10/M100 was, like you said, is not based off the ETA 2824 design. In fact its more of the ETA 2892 competitor. Their newest one, the M-800, is deisgned to directly replace the ETA 2824. I've made watches using the SW200-1, and serviced 2824s. The handwinding part is the same, so much so i wouldn't mind betting the parts are interchangable. Any link to show exactly what they've done? Apparently upgrading the SW200-1 parts doesn't 100% ensure that the movement is better either. I realized I never clarified myself. I meant to try a watch that has the 9015/90S5 movement not specifically in this case. But I may also try to see if its possible to Frankenstein a Miyota into an ETA space. AC81 and yankeexpress like this. I'm with AC81 here. The stem heights are different enough to make me think it will matter. I'm not sure what to make of the +/- 20, other than to guess that might be a potential difference from having or removing the date wheel, which might buy you 0.2mm clearance, maybe. 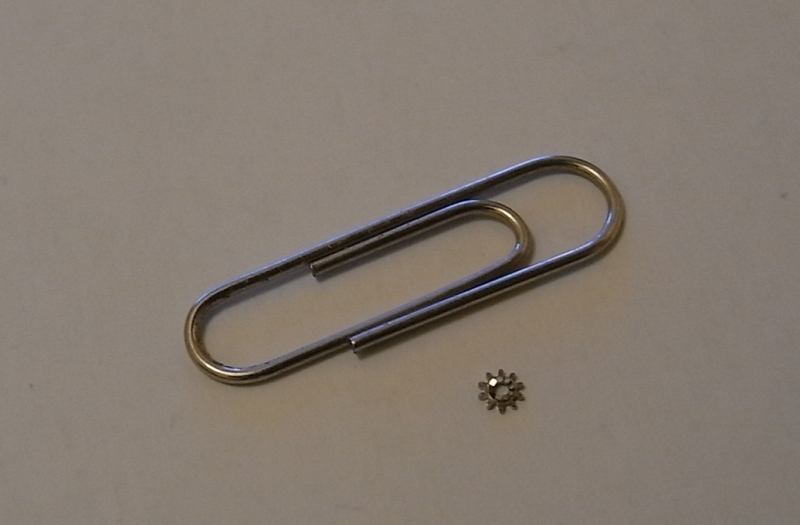 The stated difference isn't 1mm, it's 0.27mm, which seems like a small number, until you've seen how something off by a microscopic amount can affect operation. Excellent and beautiful OWC Bond - no date - Soprod movement! FSOT - Excellent and beautiful OWC Bond - no date - soprod movement! SKX case and 7s26 movement sources?